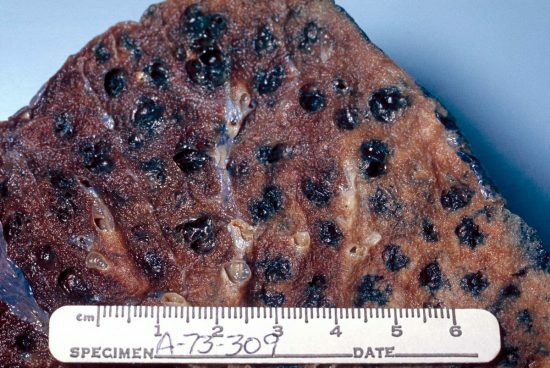 Gross pathology of the lung showing centrilobular emphysema characteristic of smoking. Closeup of fixed, cut surface shows multiple cavities lined by heavy black carbon deposits. (c) Dr. Edwin P. Ewing, Jr. 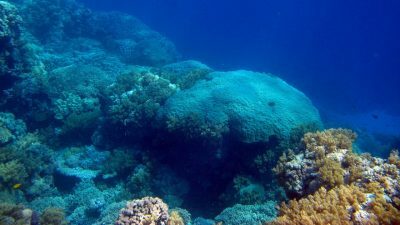 In September 2015, the German diving instructor Matthias U. was on a diving vacation in Safaga in the Red Sea. It was supposed to be the perfect start to a perfect vacation. After already enjoying two marvellous dives in 29°C water the day before, that morning, the 47-year old Matthias, was greeted once again with great weather for the almost 1 ½ hour trip from Safaga to Salem Express. The sights during the dive were fantastic. Matthias remained nearly for the duration of the entire 45 minute dive at 20 metres. He took photos and made videos. "That day I did not have the desire to dive further down to see the ship’s propeller lying at 30 meters", remembers Matthias. 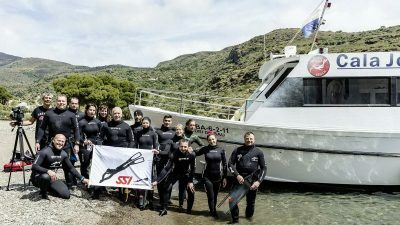 For an experienced diver, having made more than 700 dives, it is natural to wait at 5 metres during the safety stops until all other divers are on board of the dive boat. After a security stop of more than five minutes, Matthias wanted to go on board. Due to the swell he needed to hold himself on the ladder. When he went to take off his fins, he suddenly realised that he did not have enough strength in his right arm. Matthias barely managed to free himself from his fins and to climb onto the boat. In addition, he felt a tingling sensation in his left arm as well as in both legs, accompanied by an increasing weakness in all extremities. After the boat crew quickly managed to remove his bottle, he finally succeeded with aid to get rid of his BCD jacket and neoprene suit. "Taking off the suit, I noticed that something was wrong here. Another guest asked me if he could help and stepped on my suit which helped to torment me out of it somehow. It was clear to me that there was something wrong and I was terribly frightened", Matthias remembers. Matthias can no longer move both arms and legs and loses all sensation in them. Fear and panic rose in Matthias. He thinks immediately of a decompression accident but does not know how this is possible. Matthias is a 47-year-old diver, healthy and fit. He regularly goes to the fitness studio, does not drink any alcohol, and stopped smoking three years ago. Nothing suggests that the symptoms could be from the last dive as this one was normal. The two dives of the previous day, with depths of 19 and 28 metres as a maximum, were also unremarkable. In addition they were carried out with an adequate surface break of more than two hours. During this dive Matthias also stuck to all of the rules for a safe dive. He also used a nitrox30 mix during the dive. Everything at this point sped up: Matthias was administered oxygen through a face mask. During the, approximately, one hour journey back to the port, the dive guide, and friend Hans, gave him two aspirin and one litre of water to drink. "Here I realised that parts of my body were paralysed and the crew tried to calm me down; a terrible feeling. Again and again I asked myself: What has happened to me? What have I done wrong? I just hoped everything would be fine again”, Matthias says. At the same time, Hans activated the rescue chain. He made contact with the aqua med emergency hotline and informed the doctor in service as well as the nearest decompression chamber in Safaga. Due to the immediately rendered first aid Matthias felt better on board as the vessel entered the port. Sensation slowly returned to his extremities and he could go into the decompression chamber. Matthias found himself in the decompression chamber immediately after an examination by the doctor of the local pressure chamber. There he got a treatment in accordance with the U.S. Navy Table 6. Inside the chamber it is narrow and warm but during the five hour therapy the symptoms continued to improve. The next day Matthias needed to go into the chamber again as he was still complaining about residual symptoms such as dizziness and discomfort. Once Matthias’s condition further stabilized the pressure chamber therapy was not needed to be continued for some time. "The next morning I called aqua med’s hotline and discussed everything directly which relaxed me. In the evening the aqua med doctor enquired once again about how I was feeling. I found this very attentive." Back in Germany Matthias presented himself immediately to the Heidelberg Hyperbaric Chamber Centre. Here he finally hoped to find out the exact reason for his diving accident. Christ, aqua med doctor and medical director of the Heidelberg Hyperbaric Chamber Centre, examined the 47-year old and quickly revealed that Matthias needed more hyperbaric oxygen chamber therapies. The diving instructor reports the tingling sensations in his hands and face as well as increased sweating and simply does not feel well. Although Matthias had felt significantly better in Egypt, the symptoms recurred and intensified on the return flight to Germany. This is nothing unusual, because the cabin pressure is slightly reduced in commercial aircrafts compared to the regular ambient (atmospheric) pressure. While Matthias was treated in the Heidelberg Hyperbaric Chamber Centre, Doctor Chris arranged further examinations. First of all a persistent foramen oval (PFO) needed to be excluded. That is why Matthias was sent for a Doppler examination. No less important is an examination by a specialist in neurology, i.e. included a magnetic resonance imaging of the brain (MRI). This is particularly important, because after the accident Matthias had shown similar symptoms like a patient after a brain stroke or a cerebral haemorrhage. Therefore, such events must be absolutely evaluated by a neurologist. The examinations were inconclusive: the Doppler diagnostic did not reveal any indication for a PFO, the neurologist could exclude a stroke as well as a cerebral haemorrhage. However, how can it be that Matthias had suffered such a severe diving accident? Apparently he was healthy, sporty and had avoided risks due to his conservative diving behaviour. The fine-layer computer tomography of the lungs initiated by Doctor Chris provided the decisive indication: here, he noticed a so-called bullous pulmonary emphysema, i.e. there are smallest, thin-walled and very vulnerable bubbles (air sacs or alveoli) in the lungs tissue. These bubbles are airfilled and may also easily rupture without significant changes in ambient (atmospheric) pressure. After every dive the blood is saturated with small little nitrogen bubbles which can easily be breathed out by healthy lungs. However, if bullae are found in the lungs and a bulla ruptures, these nitrogen bubbles enter directly from the venous vascular system into the arterial circulatory blood system. This is called an arterial gas embolism (AGE). Due to anatomical circumstances these bubbles frequently shoot over the carotid artery directly in the brain. Here these nitrogen bubbles block the blood vessels supplying the brain (similar to blood clots that cause strokes). Subsequently the corresponding parts of the brain are not any longer supplied with oxygen and die within a short period of time. Physicians call this illness Cerebral Arterial Gas Embolism (CAGE). Frequently the first symptoms are signs of paralysis such as in the event of a stroke. If you do not react as quickly as possible, remaining losses or even death are the consequences. Bullae may develop in case of a chronic obstructive pulmonary disease (COPD). Tobacco consumption over many years is one of the principal reasons for a COPD. It is true that Matthias had already given up smoking three years ago. However, he had smoked for over 20 years. During this time a bullous pulmonary emphysema (consisting of lots of small Bullae) has developed. 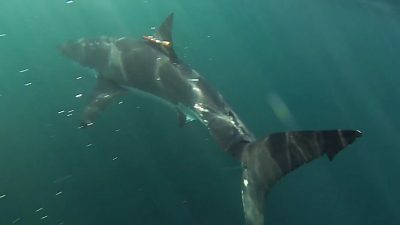 After the dive, the considerable physical exertion to remove the fins increased the chest pressure and was sufficient to burst some of these small blood vessels; whereas tiny nitrogen bubbles immediately blocked some major blood vessels in Matthias’s brain. Only thanks to the immediately activated, well-functioning rescue chain, as well as the professional cooperation of all parties involved, Matthias was saved from a life in a wheelchair, or worse. The immediate administration of oxygen accelerated the release of nitrogen in the body. In addition, the water Hans gave Matthias to drink helped to completely fill up the liquid reserves which allowed a further release of nitrogen. The remaining nitrogen bubbles were reduced in accordance to the Boyle-Mariotte gas law, in the hyperbaric chamber. What was crucial, however, was the fact that the increased partial pressure of oxygen in the hyperbaric chamber helped to maintain the brain’s O2 supply and therefore prevented permanent damage. What happened to Matthias was blessing in disguise: other bullae may burst as a consequence of his bullous pulmonary emphysema and therefore this accident can happen again at any time. Although the 47-year-old will no longer dive or work as diving instructor, this native of the land of Hesse in Germany has not lost his positive attitude towards life and has already considered starting a new aquatic sport: "I love water and cannot be without. Kitesurfing must be a great thing to do, I'll take a closer look to it", says Matthias. For us divers, the lungs are of course some of the most important organs. 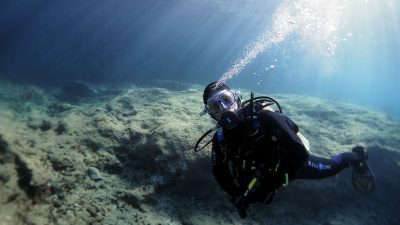 A diver's lungs should therefore be thoroughly examined during a fitness to dive examination, which generally includes taking a detailed medical history, doing a detailed physical examination and a lung function test. If anything conspicuous appears during these tests, further testing or examinations are necessary. Diagnostic imaging such as an X-ray or a CT scan can clarify the situation. Since there is exposure to radiation during these examinations, they should only be done if a pulmonary disease is suspected. The abbreviation COPD is short for chronic obstructive pulmonary disease. It affects about 14 percent of the world's population. Typical symptoms are respiratory complaints, frequent coughing, sputum and tiredness or loss of stamina. COPD has four stages. While stages I and II can be treated and are reversible, from stage III onward, the change in the lungs is so extensive that a full regeneration of the lungs cannot be expected, which is why patients are usually not fit to dive at that stage. What causes COPD or a lung emphysema? There are many reasons why someone gets COPD or a bullous emphysema. Most of the time, it occurs due to long-term exposure to irritants such as tobacco smoke, silicates, fine or quartz dust. Living next to a coal-fired power plant without a filter while growing up can also contribute to the development of this disease. Smoking, however, remains the greatest risk factor: Up to 90 percent of the time, consuming tobacco is the cause for COPD and approximately every second smoker at an advanced age gets chronic obstructive lung disease. The risk increases with the amount of tobacco consumed; second-hand smokers are also at a higher risk for developing the disease. In addition, COPD can also develop in the course of a long-term asthmatic illness or a virus infection. A more rare genetic cause is alpha-1-antitrypsin deficiency. The mentioned various harmful substances as well as the deficiency of alpha-1-antitrypsin trigger an inflammatory reaction of the lung tissue in the further course of the disease, thus stimulating an accumulation of white blood cells which release even more enzymes. The thin walls of the alveoli weaken and eventually rupture. When those "dissolved alveoli" merge, they form a bigger cavity. Medically this is called an emphysematous bullae. Those structures can exert pressure on the bronchioles (small bronchi), which consequently collapse during exhalation. Thus, the airway is blocked like by a one-way-valve and the air gets trapped inside the alveoli. 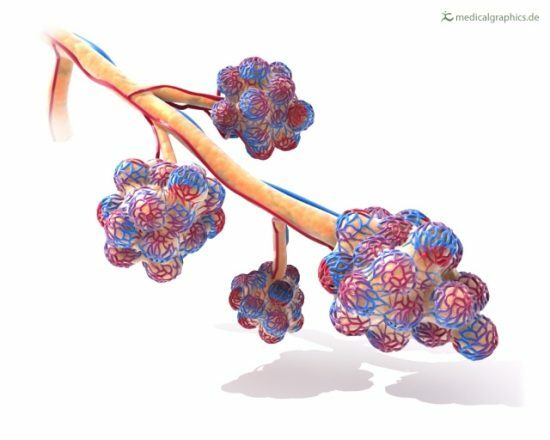 The next time air is inhaled, the alveoli and bronchioles may become distended due to the trapped air. This overexpansion causes the alveoli to be destroyed and large emphysema cavities, which are unsuitable for gas exchange, to form. In extreme cases, previously functional alveoli turn into large, functionless "emphysema cavities", which are referred to as bullous emphysema. In addition, oxygen radicals deactivate the alpha-1-antitrypsin, which normally disables harmful enzymes. These enzymes gradually harm the lung tissue, causing a loss of blood vessels and thus a disrupted gas exchange. Finally, the lungs lose elasticity and the air cannot escape completely, which causes a chronic hyperinflation of the lungs. In case of a COPD, the larger bronchi are also permanently constricted. Emphysema cavities mostly develop in the upper part of the lungs. Clinically speaking, a bullous lung emphysema is inapparent. 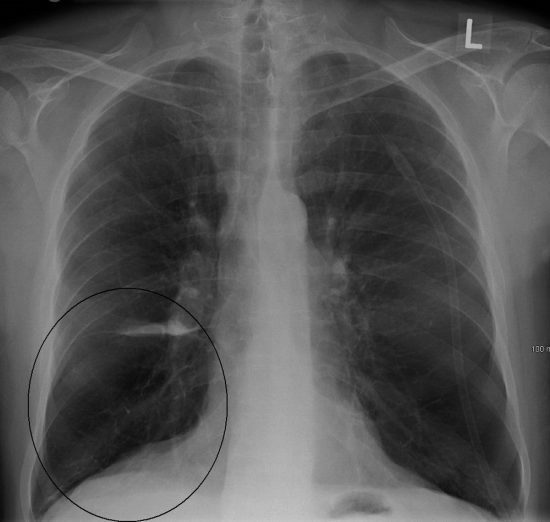 Some people notice exertional dyspnea as the first symptom (they do not get enough air when they exercise or climb the stairs), a spontaneous pneumothorax (ruptured lung) can also result from this disease. A lung emphysema usually develops as a result of the COPD and can also be seen as a special form of an advanced COPD. The first sign of a COPD often is a common chronic bronchitis with coughing and sputum. The affected person usually does not feel physically impaired, because the bronchi are not yet constricted. At this stage, the disease is still reversible, if the toxic substances causing it are strictly avoided. If the bronchi are narrowed in the course of the disease, then the changes are often irreversible.